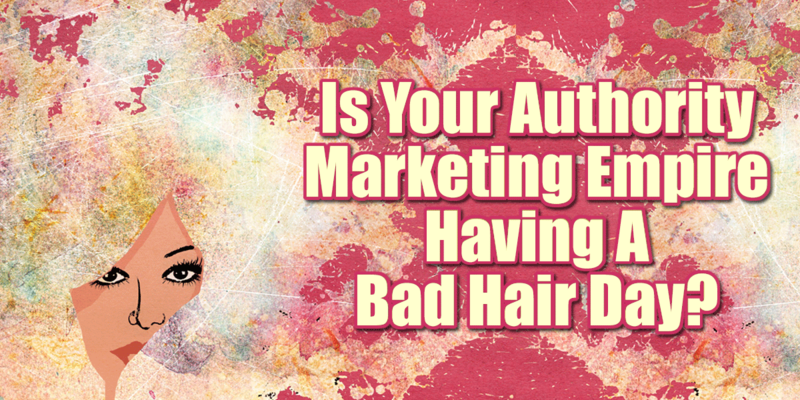 When was the last time you looked at your authority marketing “stuff”. If you are doing a lot of marketing and content creation, you are probably like me! I tend to put a whole bunch out there and then keep on trucking along, not thinking about all the nibbles out there that are no longer correct, but which are still in the search engines waiting to be found. Or in my auto responder emails that get sent automatically, and don’t even start on my social media “about me’s”. Today let’s talk about updating all the “bits” in your authority marketing empire. I am in the process of doing this so I have a pretty good list of things that need fixing and in what order! It is widely known that anyone who is looking to hire you or buy a substantial product from you will probably be checking out your “About Us” page on your website. Additionally, it is generally the longest page on that contains bits about you and how you want to present yourself to the world. I keep this one updated the best so that I can use this as the place to grab all of my words and descriptions for my other Abouts. I have my name www.TaraJacobsen.com pointing to the About Us page on my website. It is super easy for me to remember when I want to send someone there, plus it makes me rank really well for my name! Even though it is About You, make sure that the person coming to your site to check you out can see About Them. How what you do for people like them will help! It’s the old What’s In It For Them thing! If you need a hand working through your about us bits, our book, Advanced Sales Strategy: How To Craft Your Unique Selling Proposition is a great resource to get your wheels turning! Social profiles vary in length, but oftentimes they will have a “short description” and a “long description”. These are easy to pull out from your regular about us page, making sure that you are hitting the highest points for your potential customer rather than putting what is cute or irrelevant to them. Your LinkedIn one is the most important to success on that platform. Here is a post about how to optimize your LinkedIn Profile perfectly! While it can seem easier to go through all your pages at the same time, that will freak Google the heck out! I don’t really change more than 10% of my site or content per month so that Google doesn’t penalize me for being too different. Remember, these are your best traffic pages, so don’t mess that up by being a bull in a China shop. Be a sniper and pick them off one at a time! Called many things like autoresponders, drip campaigns or even marketing automation if you are all fancy, these are the messages you send out when someone signs up for your lists. Now, when you go and look you might make yourself totally crazy and want to sit and bang your head against the desk. These are generally painful to set up in the first place so oftentimes we spend more time on the mechanics of them and less time on making sure they are amazing and up-to-date. Start with your most popular autoresponder and work your way back through them, filling in the blanks and making them AMAZING. If you are prolific with lots of ideas (like I am), then you probably have lots of things out there. It can seem daunting but just start at the beginning and muddle through. It doesn’t matter if you do all of these at once, the autoresponder company will not be upset if you make sweeping changes. It would be awesome to think that you will never have to do this again, that you can spend a huge amount of time and get it absolutely perfect. But that is probably not the case. Most entrepreneurs go through a number of iterations and even if you think you are set in stone, there might be some changes in the future.